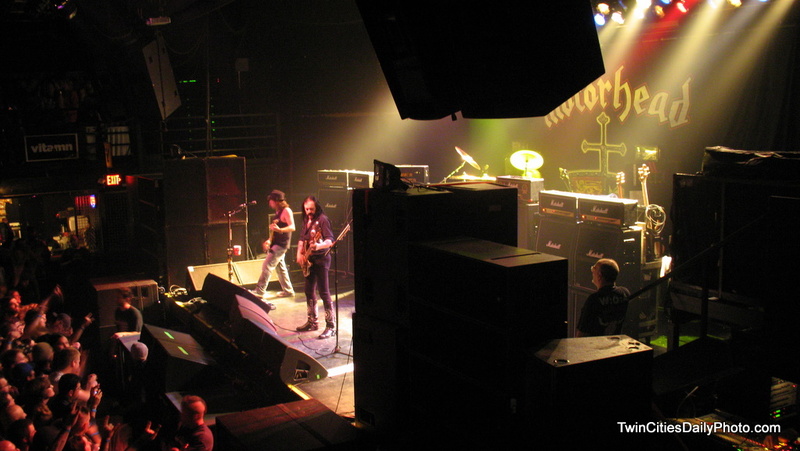 Motorhead performed at First Avenue on August 28, 2009. I managed to capture a few semi-decent photos from the show. You were only allowed to bring in point and shoot cameras into the show. Oddly enough, I drank a couple of pints across the street at a local pub, there was a couple of guys in there with English accents, I thought it was more of an Irish accent at the time. If I would have put two and two together, I would have realized those accents were real and they were roadies from behind the scenes of the Motorhead concert. It was an enjoyable show and as advertised, they put on the loudest show around. Cool shot of the fun in downtown Minneapolis! Nice photo Rock Fan! Looks like a cool time. Nice and up close.